Quoted price is the minimum we may advertise, Contact our staff for the best deal possible. 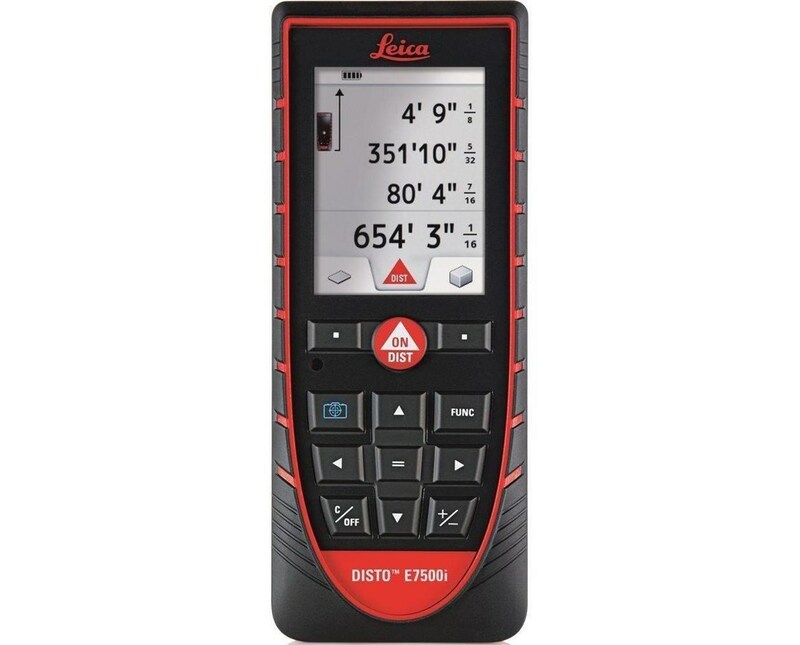 The Leica Disto E7500i Laser Distance Meter introduces a whole new standard of measuring possibilities with the ability to sync with Bluetooth 4.0-enabled tablet and smartphones. It features a modern design that includes a high-resolution color touchscreen display, customizable shortcuts keys, and an outdoor real-time video display. 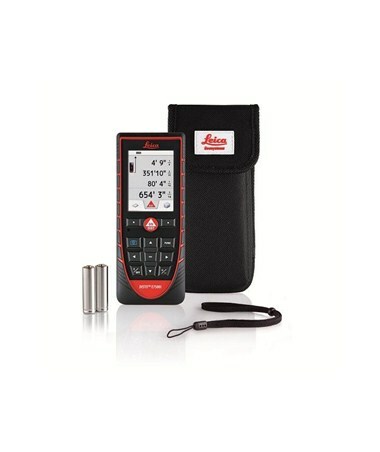 This Leica laser distance meter also allows storing up to 30 measurements and has 360-degree tilt sensor. 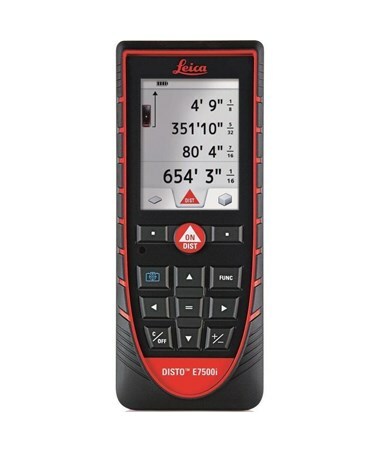 The Disto E7500i measures with 1/16 inch accuracy and a range of up to 656 feet. On the display is a real-time video point finder with 4x zoom and a simple 'Help' screen that displays a picture to explain each function. 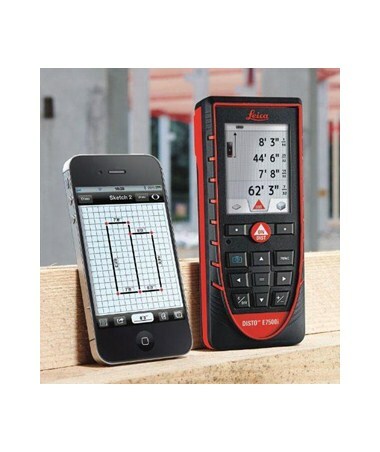 It also features functions to determine room diagonals or horizontal distances, area, volume, multi-cornered rooms and total wall areas. A multifunctional end piece that flips out from the bottom is included for measuring from corners. 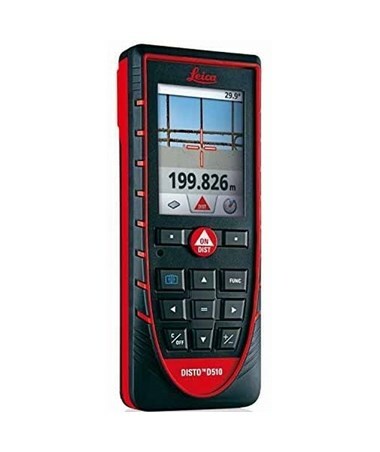 This Leica laser distance meter is made of sturdy materials with a specially sealed housing and keypad. It also has the IP65 protection rating which assures that it is resistant to dust and water. This Disto laser distance meter is also extremely durable and well-protected, as it has been proven in drop tests of up to 6 feet high. It is powered by two AA batteries that allow it to take up to 5,000 measurements.